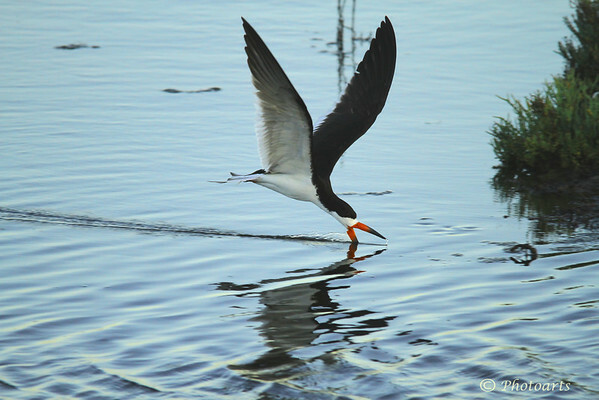 This Black Skimmer (Rynchops niger) was captured feeding in Bolsa Chica wetland Preserve in Huntington Beach, CA. Perfect time to capture this image. This shot surely makes it clear how the bird got its name.